Why Has CNC Machining Made Traditional Machining Obsolete? With CNC machining services on the rise and more commonly used for manufacturing the most diverse projects these days, it’s hard to imagine that there was a preceding technique before it, but the fact is that there was one. 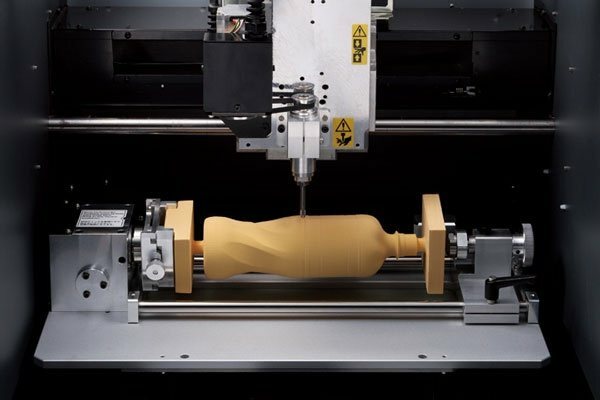 While no one can question that conventional tooling can still do the job, a big issue arises when it comes to comparing performance and delivery times of each one of these methods. In a world that asks for more productive manufacturing methods, CNC machining stands out by outperforming traditional tooling led by the powerful hand of technology. We can still take a moment to point out more in-depth reasons as to why this is happening and more importantly if traditional tooling is going away. The first reason it’s the most noticeable one and also the hardest one to debunk: with the modern technology available on CNC machinery anyone can be trained to operate a CNC device in just a few days while another person has to focus on handling the data. With old-school tooling, crafting out a part required training and experience to deliver a fully functional finished product. The number of professionals willing to do the job was costly due to the amount of experienced required for delivering a single project with no mistakes. With classic tooling, you had to wait a long time to get a full shipment of product delivered to any company. The performance issues to craft out parts where mostly related to the number of technicians working on the project and any problem could delay the project. Even a basic human trait like fatigue could affect the quality of the finished product. With CNC machining services most of these problems are in the past since each piece of equipment it’s designed to work repeatedly and consistently delivering parts that are all crafted on the same quality standards in less time. With CNC machining services even the most complex parts represent a little challenge for the increasing technology. While a part crafted using manual tooling had to be worked at stages given its complexity, CNC machines can multitask and handle the lathing, milling or drilling needed at a moment notice. Since most of these machines are able to operate on ongoing cycles that can last up to a week the downtime is greatly reduced while the operability is increased like nothing you have ever seen. All the stages for design and development used on CNC machines are handled by a human team with the expertise for it, and the hardware does the rest of the job. Manual crafting handles every step of the processes and requires extensive revisions on early stages such as prototyping to make sure that there are no mistakes. While the use of software in CNC machining is a Pandora box used to escape the conventionality of classic designs, manual crafting uses true and tried methods that might work on old-fashioned solutions but are rather an inconvenience for more modern designs. While this brief analysis might seem a little biased, the fact is that manual tooling still has a place beside CNC machining. The truth is that this technology is still evolving and that’s a signal that the classic approach could still be needed for a project that proves to be too difficult to the modern approach.